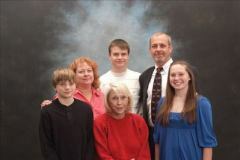 Sharon has practiced Family Law in Akron, OH for over 34 years. With 2 Children and 4 Grandchildren and an extended family of friends and neighbors in Akron, OH Attorney Sharon Berg understands the value of family. Organizing Attorney (Summit County) and Attorney Moderator (4 years) of the Peoples Law School, a joint venture of the Ohio Academy of Trial Lawyers and the educational community to provide adults with a basic understanding of the various areas of law which impact their daily lives. I assist individuals and families conserve their emotional and financial resources during the legal process and help them choose a path that best prepares them for the future.